Do you want to know what happens with your vehicle’s secondary battery when travelling? Whether you are using your 12V power or charging the battery, you want to be 100% sure your battery is in good health and has enough power. 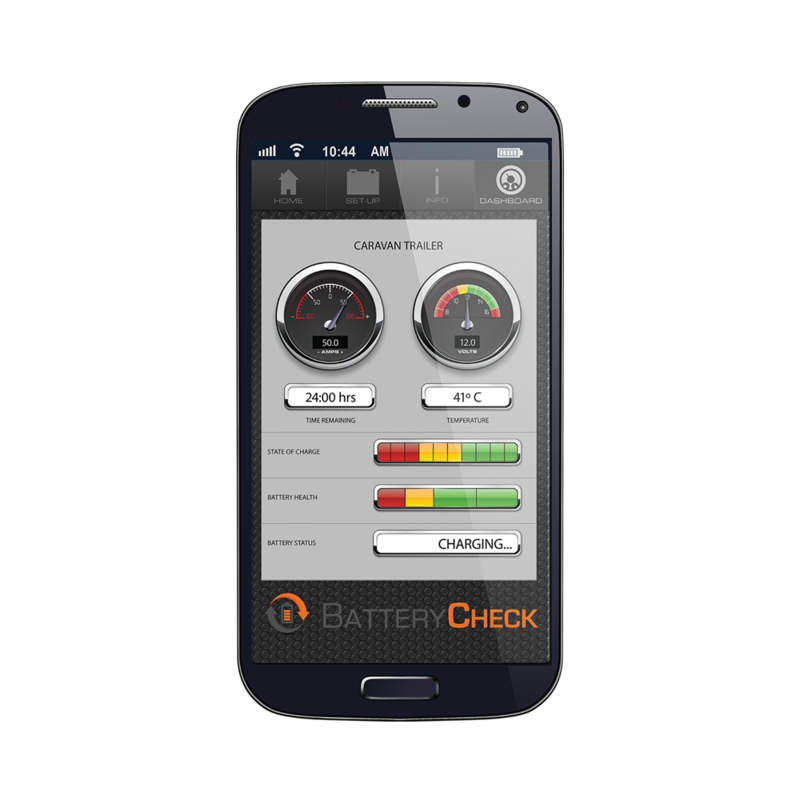 To get instant information on your battery’s health, use wireless Bluetooth battery monitor BatteryCheck. BatteryCheck is a simple device with an internal shunt. Connect it to the positive and negative terminals of your battery, download the BatteryCheck app and pair your phone via Bluetooth. 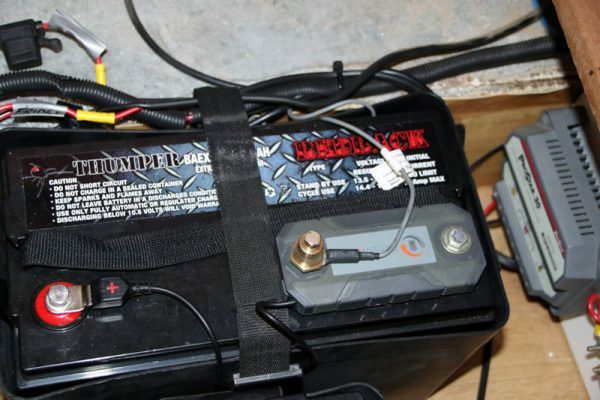 BatteryCheck is compatible with a range of standard 24 and 12V deep cycle batteries. 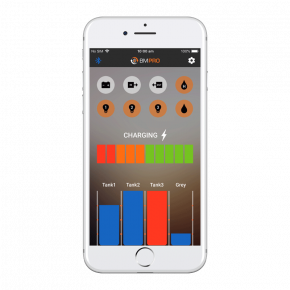 It provides real time battery management data that allows users to effectively monitor remaining battery energy via a simple to use app. Specially designed for recreational vehicles’ and marine deep cycle batteries, BatteryCheck allows monitoring up to 80A maximum charge or discharge. BatteryCheck is not suitable with engine cranking applications of any type and is not intended for under vehicle bonnet use. Visual and Audible Alarms Low Voltage, user settable level. Low State of Charge, user settable level. Can I use my BatteryCheck on my starter Battery? 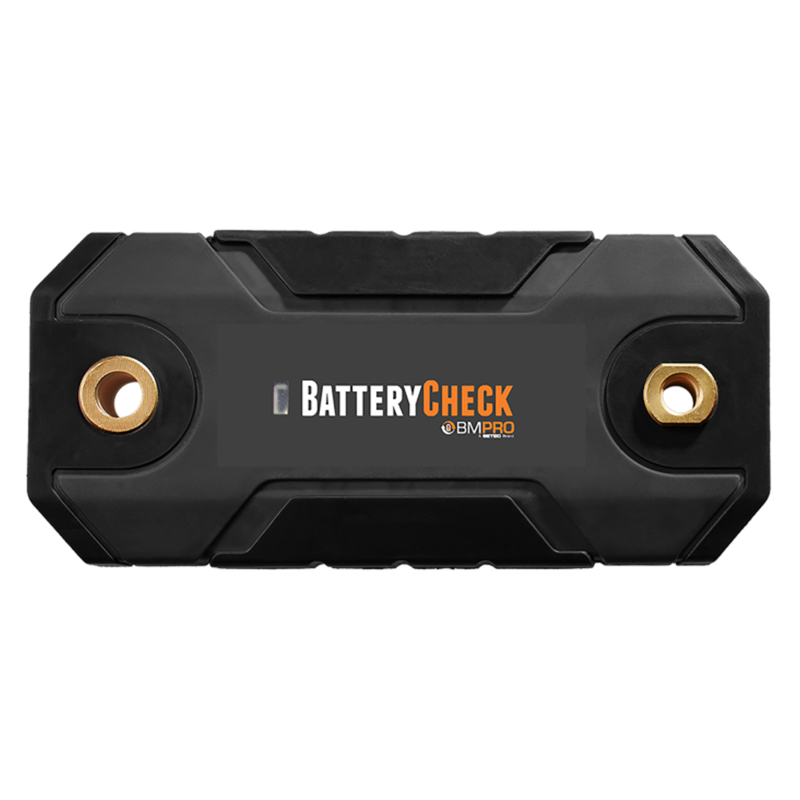 The BatteryCheck is designed for deep cycle batteries (also known as ‘house’ batteries) and as such should not be used on a starter battery. 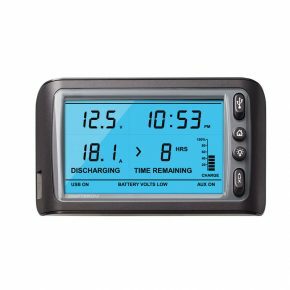 Can I use my BatteryCheck on my dual battery system? 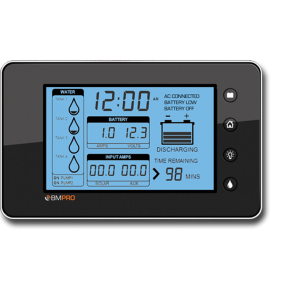 As long as the battery system is not exceeding 100 amps peak or 80 amps continuous draw or charge then there is no problems using the BatteryCheck. Please note the BatteryCheck will monitor the whole system as opposed to the individual batteries and as such all negative connection on the batteries should go through the BatteryCheck. Can I use my BatteryCheck on more than one battery in a battery bank? Absolutely, the BatteryCheck will monitor the entire battery bank as one energy source and report on it. When installed in this manner the BatteryCheck should be wired on the common negative and all connections to the negative of the battery should go through the BatteryCheck. Can I connect to multiple BatteryChecks? There is no limit to the number of BatteryChecks your phone can report on, however you will only be able to connect to one BatteryCheck at any point in time, meaning you will need to connect your application to the relevant BatteryCheck you’d like to see each time. How do I connect my BatteryCheck to my iPad? Whilst the BatteryCheck is not officially compatible with the iPad you can connect using the same steps as the iPhone. Please note as the iPad is not a supported device there may be minor issues with the connection and reporting. How do I connect my BatteryCheck to my Android tablet ? The BatteryCheck can be connected to your Android tablet using the same steps as an Android phone. Please consult your manual for a step by step guide. I can’t connect to my BatteryCheck anymore, what should I do? Please get in contact with us to troubleshoot. If you are unable to do so then you may like to try disconnecting your BatteryCheck, forgetting the connection in your Bluetooth settings (on your smart device) then reconnecting- this will solve most connection issues. Does the BatteryCheck have a Windows Phone application? At this stage the BatteryCheck is not supported on Windows operating systems. How big a battery bank can the BatteryCheck handle? 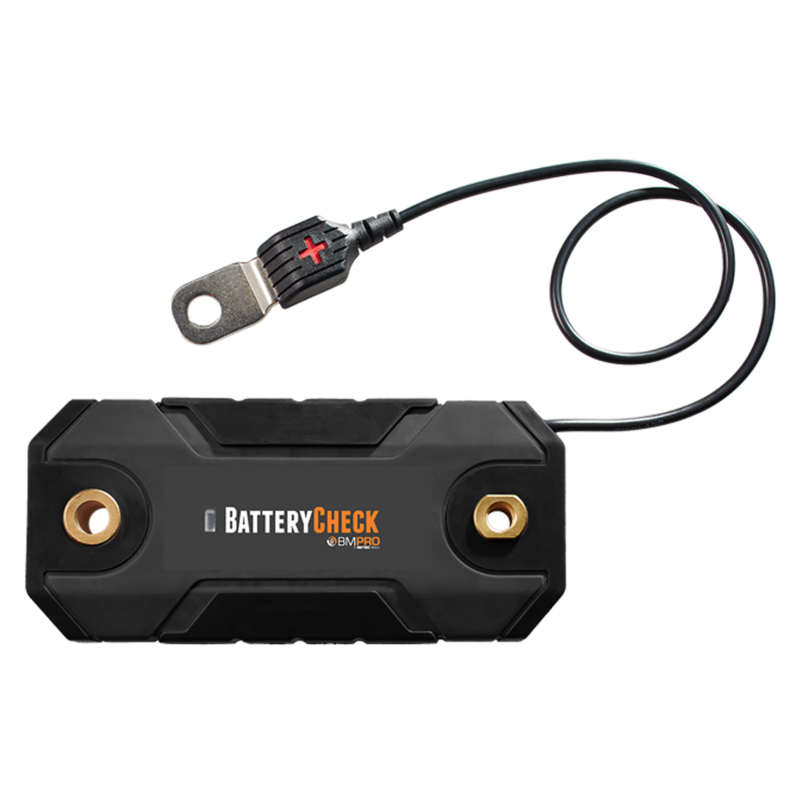 The BatteryCheck is suitable for use with battery banks up to 800 Amp hours. 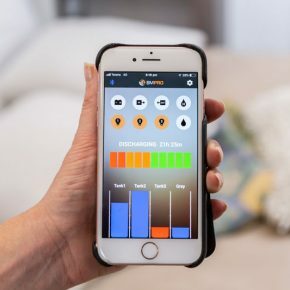 When I connect my BatteryCheck to a battery bank can I monitor individual batteries? How do I install my BatteryCheck on a Battery bank? The BatteryCheck is installed on a battery bank in the same way as it is with a single battery however the BatteryCheck should be placed on the common negative of the bank and all negative connections made to the bank should be made through the BatteryCheck. Can I connect my battery charger to the BatteryCheck? Yes, as long as the charger does not exceed 80 amps continuous or 100 amps peak charge. If the BatteryCheck is bypassed the charge will not be measured or reflected in your dashboard. How much energy does the BatteryCheck draw ? Quiescent Current Drain is < 10mAmp (found on page 8 of user manual). This would take over 10,000 hours to drain a typical 100 Ah battery. Where is the BatteryCheck made? The BatteryCheck is proudly designed, manufactured and sold from our Australian head office in Knoxfield Victoria. Trouble setting BatteryCheck app alarms on your phone? Some budget phones currently on the market will operate differently with the BatteryCheck app, for further information please contact Team BM PRO. Volts is only one indicator in a more complex equation – rather like measuring kilometres-per-hour (KPH) in a car. KPH will tell you how fast you’re going, but not how long you’ll be able to maintain a particular speed or if you have fuel in the tank to run it. The BatteryCheck will provide you with access to all of the information you need to complete the full picture, including charge state, battery status, amps, volts and remaining time.